Does the Cultured Club operate as a business? Not really. It is more of a Social Economy Business if it is a business at all. What I want to do is make it more of a club. A place where people can come to, to share ideas, information, recipes, a place where those who have shifted to the kind of diet I have advocated can meet with like-minded people. In that sense it isn’t really a business at all. You have international connections through the work you have done? Last year I went to teach in Portugal. There is a huge movement in Portugal, a community which comes together from all over the country, and they come together every month. They are doing the kind of thing that I think I have been moving towards locally. This is the direction I have moved in. You could say that all my artistic practice has lead me to here and maybe, although I wouldn’t want to stretch the analogy too far, but the preparation and production of the foods that I advocate has an artistic element to it. You might say that the end product is the person who follows this kind of diet. How did you become part of The Vault? It feels like there is a creative explosion happening amongst artists of all disciplines in Belfast. All of us have similar experiences. We know what it is like to have very limited support if any. We have all experienced having our own little studio spaces that you very rarely use because there is so little support and everyone is trying to find of surviving while at the same time working at their art. We have all worked where it feels like we are very isolated. This feels like there is an attitude where we share the excitement of being creative, and there is a sense of inter-disciplinary exchange, of sharing ideas, people are connecting with each other in a way that might not have happened without this building being brought into use. 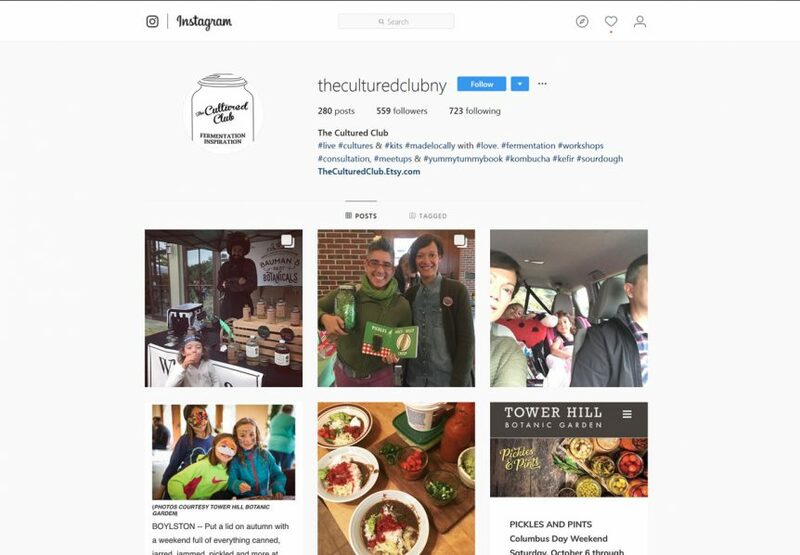 How does the Cultured Club fit into The Vault? My husband was part of the Belfast Bankers, a group of artists who came together to takeover an empty Ulster Bank Building and work there. He told me about The Vault, and when I came to see the spaces on offer, there was one space that didn’t look like it would work as an Artist’s Studio, but it looked like it would work for me. It is a larger space with stainless steel work areas and I thought it will be a place I can experiment, I can use it as a laboratory. Ideally I would like to infuse everyone in The Vault with good bacteria. Would you see the artists in The Vault as being more open to your ideas regarding nutrition? People here are certainly interested in what I am doing and there are plenty of artists I’ve spoken to who would be interested in my ideas regarding nutrition. I also am looking into the wider question of a diversity of food. That really doesn’t happen locally. We have Tesco’s and Sainsbury’s and that is your benchmark for what is available and what is possible. I am incredibly excited at researching what possibilities are regarding nutrition from work done internationally and then bringing that information to people here. Has it become easier to concentrate on your work being here? I can’t pretend that a lot of the work I have been doing has been a struggle. Trying to offer education, showing people new possibilities regarding diet and nutrition, even showing how it is possible to eat well for little cost, all of that work with very little support requires a lot of energy. It can be very draining at times. I had sort of made my piece with the difficulties of being a pioneer in this field and luckily The Vault has certainly given me a space where I can take my energies and my enthusiasm and put it all into practice. 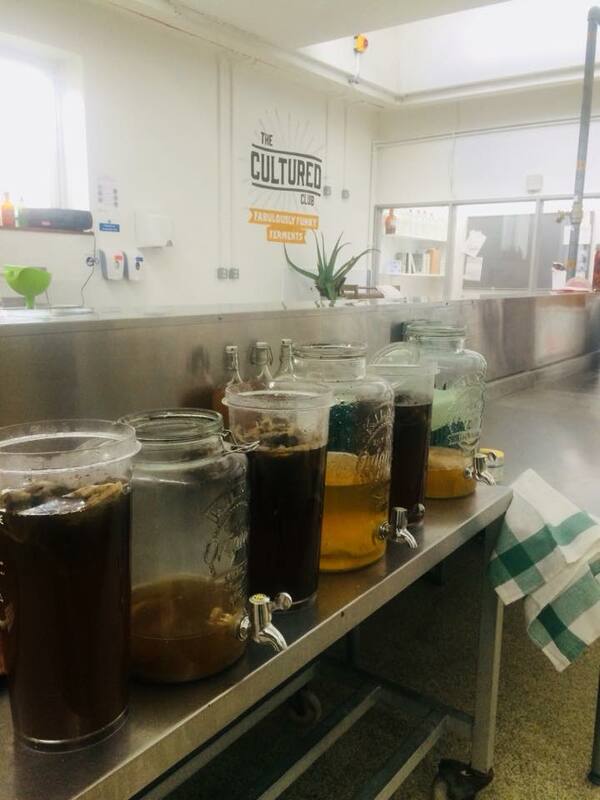 I am hoping to develop my work where I can film what I do and give people easy access to the information, the ideas, the processes and techniques regarding fermentation of foods. That will be part of the benefits of joining The Cultured Club. And who knows, perhaps in the future we might look at producing a TV series.